Modo's CEO Patrick Nangle shares his learning on the industry and carsharing! 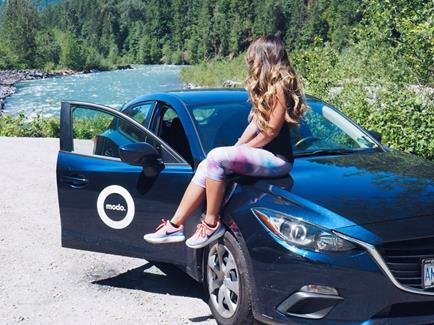 Modo's CEO Patrick Nangle shares his learnings on the industry and the future of carsharing. 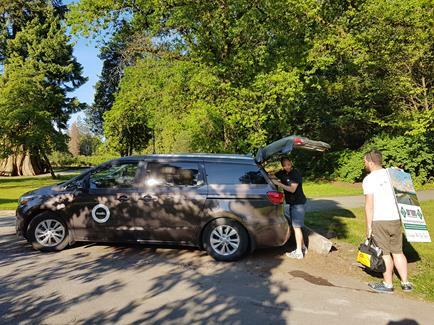 As one of the speakers and attendees of the Carsharing Association's Annual Conference in Montreal two weeks ago, he has some interesting conference takeaways to share. "Soon approaching my first anniversary at Modo and in the industry, it’s a good time to reflect on what I’ve learned to date. My education has been greatly facilitated by my colleagues at Modo, regular interactions with our many stakeholders and most recently by participation at the Car Sharing Association (CSA) conference in Montreal. To summarize in a few words, I am delighted to be onboard at what I believe is a pivotal moment in the evolution of carsharing. 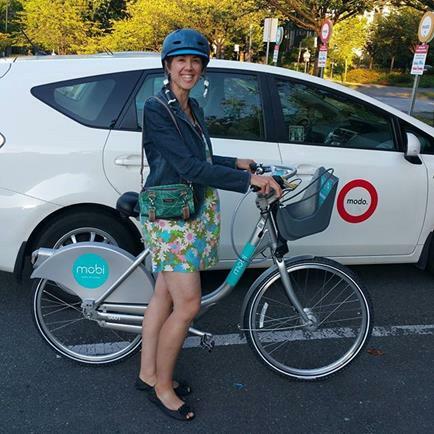 The rest of the world has woken up to the benefits that early entrants like Modo and its members have known for decades, that carsharing complements public transit, biking and walking to make possible a lifestyle free of the burden of car ownership. The value of not having to own a car or second car, but having one available when you need it, will vary by individual, and typically includes some composite of improved personal economics and reduced environmental impact." This month, the Co-operators share how to keep your home safe when you're away. Take a Modo to the Sunshine Coast, it's just a short ferry ride away! Modo Ambassador Alicia went diving in Tuwanek, and took a Modo to get there. Features: Backup Camera, AWD & room for diving tanks! Staff Tip: Modo members can also walk on the ferry and book the new Coast Car Co-op vehicle (Fri to Sun) in Langdale. Simply sign up as a roaming member! "Biking, walking & transit take care of my family's transportation needs the majority of the time. 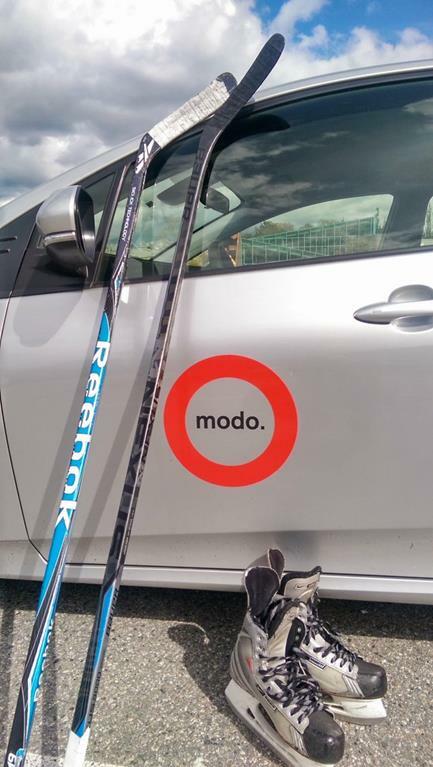 We use Modo a couple of times a month to go to Ikea, Costco or visit relatives in other municipalities. I am also a Modo business member through my job at HUB Cycling. I use a Modo truck or cargo van to transport our fleet of bicycles, helmets, and other equipment to to teach bike education in schools all over Metro Vancouver. I particularly love unloading the adaptive bikes out of the Modo van and watching the kids realize that they're going to be able to ride, sometimes for the first time in their life." Lisa Corriveau, HUB Cycling Instructor and Modo Ambassador. Tell us how we did in our June Quick Poll! Starting June 7th and ending June 27th, bookings in these cars are 10% off! >> NO TRANSIT? No problem! Ambassador Keane took one of our Prius hybrids to the ice rink in Burnaby. >> MODO IN NANAIMO Nanaimo carshare transitioned to Modo in April, adding four new vehicles to our Modo map and growing our membership of members. Nanaimo member Denise shares her Modo story! >> TEAM MODO We're looking for a casual Contact Centre Agent to join our Member Loyalty Team in Vancouver. Feel free to share this opoortunity! Learn more. >> RED RACER Our Fiat 500 Abarth is great for fun road trips, exploring "Vancouver's backyard". The Vancouver Sun gave it a try! >> COOP CAFE Modo's CEO Patrick Nangle joined the BCCA Co-op Cafe in May. The next event is June 28th, 8-9.30am. Join the discussion! Every Tuesday on Granville Island: Visit the Community Marketplace from June to September between 11 am and 4 pm at Triangle Square (just south of the Public Market) for vendors, workshops, art installations, entertainment and more.